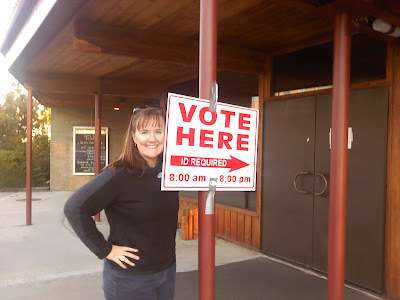 Idaho Chicken Ranch: Civic Duty! While I loved the ease and convenience of vote-by-mail in Oregon, a return to old-fashioned ballot casting in Idaho has been fun too! The encounters with the (often) little (often) old (often) ladies who man the polling booths was not unlike the year I volunteered with my grandmother to man the Garden Home Community Center polling booth! Lemme tell ya, that is one long day of lookin' up names and listening to "BOB SMITH HAS VOTED!" every three minutes. About 85 percent of voters there knew my grandmother by name! Last election I went to the county offices to vote, but last night we went to our polling place: the little theater by our house! My husband even voted, as evidenced by his fancy sticker! 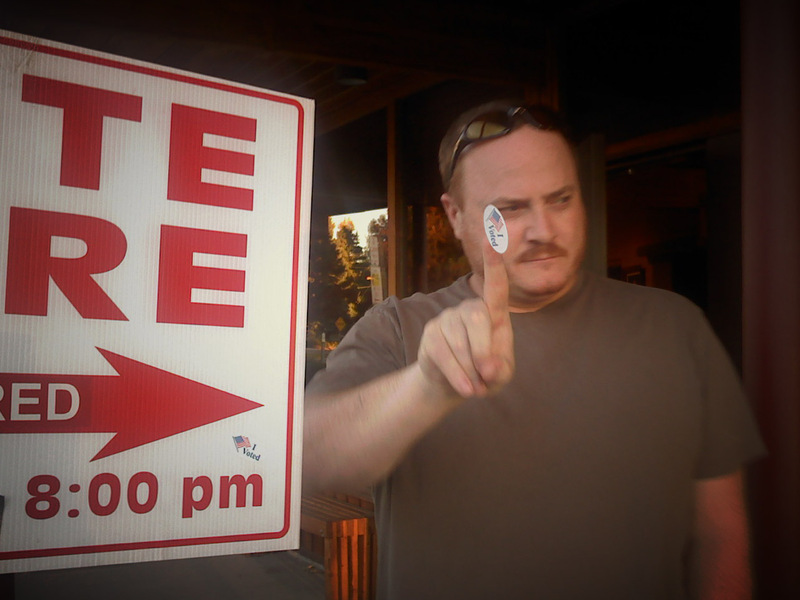 Oddly, while my name was called out after depositing my ballot, his was not... hmm... I hope his vote counted... after all, I spent a lot of time preparing his voting cheat sheet for him. ;) Hope your election day was fun!